“Fight For $15” Has Met It’s DOOM With Trump’s Newest Announcement! The Fight for $15 has to be the most frustrating thing I have ever encountered. I have lived in both California and Alabama in the last two years. I have seen and worked in states with the highest and the lowest minimum wages in the nation. And to me the verdict is so disturbingly obvious. The more wages went up, the fewer hours one was given to work. Add to that other laws concerning overtime and health care, and it became almost impossible to find a distinguishable job. When everyone can work for fifteen dollars an hour what is the incentive to work hard? And what is going to keep inflation from catching up with the minimum wage? There is no incentive to get out there and work and improve in this type of economic society. I could not be more glad that Donald Trump’s new pick for head of the Labor Department is not going to put up with that crap any longer. Mr. Puzder, an adviser and contributor to Mr. Trump’s campaign, has criticized the Affordable Care Act and has argued against raising the federal minimum wage higher than $9 an hour. Democrats have called for raising the federal minimum wage for as high as $15. Mr. Puzder is on the board of the International Franchise Association, a trade group that has criticized the Obama administration, saying it attacked the franchising model by implementing regulations that stunt job growth. 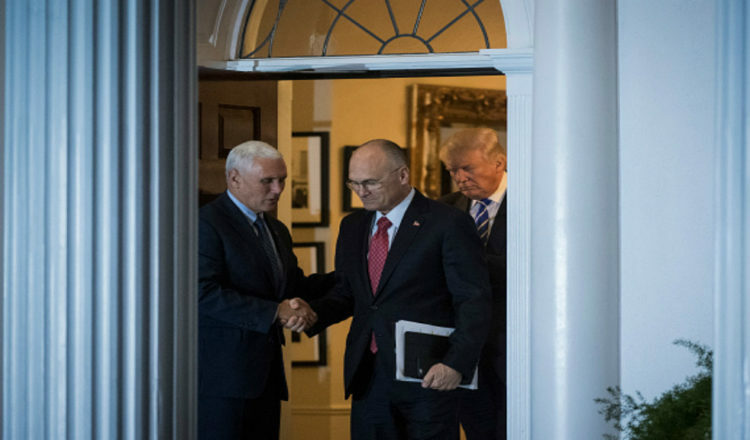 Instead of focusing on stepping up workplace regulation to create jobs and higher wages, Mr. Puzder would likely call for tools such as an overhaul of the tax system, said Matt Haller, a spokesman for the franchise trade group. Hold on, y’all! Things might be improving!